Wieder ist ein Monat um und Evil Hat hat eine neue Fate Abenteuerwelt am Start. Sie ist hier mit dem üblichen Pay What You Want Modell zum Download bereit gestellt worden. Your kingdom is on the brink of war. A tournament has been arranged to celebrate your monarch’s birthday, and envoys from the enemy kingdom will be attending the festivities. As if the situation isn’t stressful enough, strange lights are seen in the sky, and a terrifying alien invasion begins. 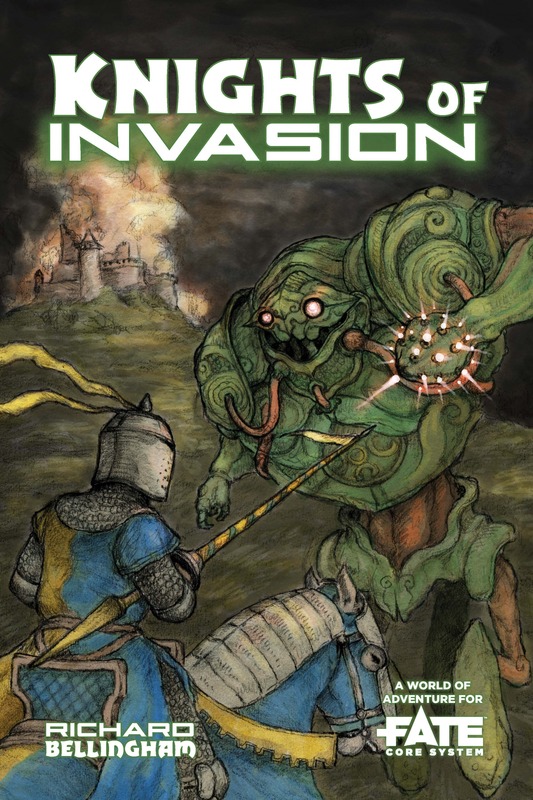 Gather your fellow knights to battle with little green men and fire trebuchets on acid-filled insect creatures. Can the rival kingdoms put aside their problems and work together, or will one side use the chaos of the situation to their own advantage? Find out in this Fate World of Adventure by Richard Bellingham. A unique mix of epic fantasy and science fiction elements. Options for mini-campaign, one-shot convention, and campaign play, each customized for repeat play. 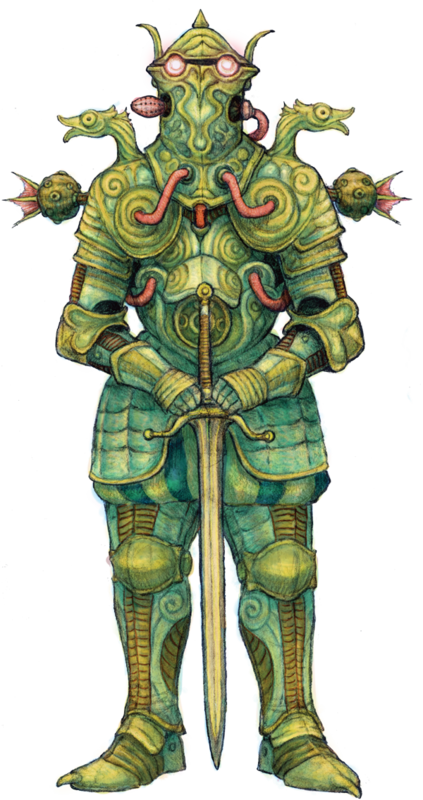 A toolkit for using knights in Fate, including system elements for retainers, knightly codes, armor and weaponry, and more. Rules for siege engines and tournament battles. A simple alien creation system with enough choices to fuel multiple alien races without repeating attributes. Der Beitrag Knights Of The Invasion erschien zuerst auf FateRpg.de.